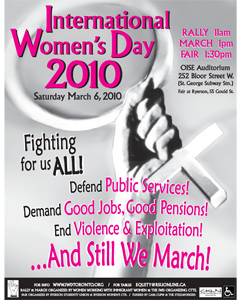 Join the Good Jobs for All Coalition in a rally and March to commemorate International Women’s Day. Fighting for us ALL! Defend Public Services! Demand Good Jobs, Good Pensions! End Violence A& Exploitation!
. . . And Still We March!